Airapport: Intense 5 days pre-release testing of Steampunk Idle Spinner begins! Intense 5 days pre-release testing of Steampunk Idle Spinner begins! Friends! The first lines of code for Steampunk Idle Spinner were written 1,5 years ago. This was a very productive marathon. I spent more than 1000 hours on all the game creation aspects (and I published the entire development timelapse on Youtube). Thank you for staying with me all this time! The game core was rewritten 3 times and I was very happy to receive so many positive beta testers' reviews, which inspired me to go on, as well as critique from the incremental genre connoisseurs, which helped me to spot and fix weak gameplay aspects and make the game better. And I'm proud that the game facebook community has grown up to 7600 members. And the game got acknowledgement from the professionals: it took the 3rd place at Big Indie Pitch Prague, 4th place at Big Indie Pitch San Francisco, 3rd place at Big Indie Pitch Sweden and 2nd place at Indie Blast Kiev! 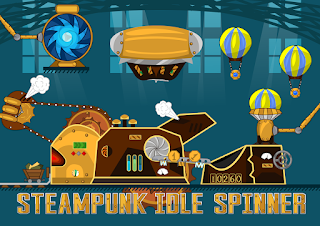 As the Big Indie Pitch Prague prize, my Steampunk Idle Spinner will be highlighted in PocketGamer on the 20th Dec. So, while we have a few days before the release, I'd like to ask you for a favour. Please, download the Google Play beta or join TestFlight iOS testing and stress-test the game. 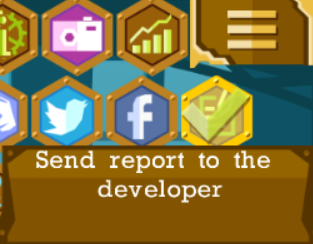 If you find something strange, please, tell me and submit me the report from the ingame interface to let me recreate the situation. I've worked hard during the last 18 months and I'm ready to work even harder to provide the most polished game on the 20th. Thank you for all your help! Have fun!